Sean Kelly founded Snacknation, a healthy snack delivery service for offices. His team is dedicated to making workplaces more productive and more awesome! Based in Los Angeles, Snacknation is a fast growing company employing nearly 200 people. It was named one of the Best Places to Work in Los Angeles in 2016. 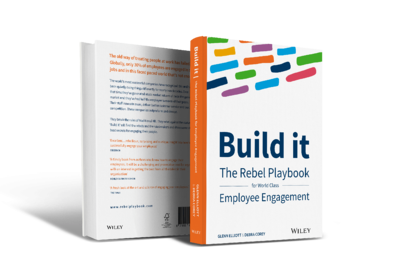 Sean's play in the Rebel Playbook is all about employee recognition so you'll find it in Chapter 9. He has worked really hard to keep recognition personal and a core part of the company's culture as they've grown. He's made mistakes along the way which he was candid to share and has ended up with one of the most unique approaches to employee recognition that we've seen. Join the Rebelution, order your copy today.